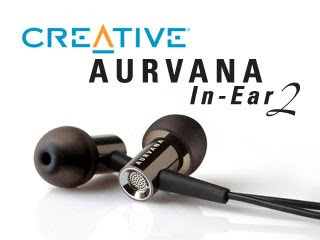 Creative just announced their second IEM model under the Aurvana brand, the In-Ear2. Still a single balanced armature transducer based design like the aging Aurvana In-Ear, the In-Ear2 spots a more modern look and what seems like an open-back design. While it is claimed that the grill helps to improve bass response, it is unclear whether that will affect the overall isolation. The MSRP is around $110, which is a little high in todays' market but not out of line compared to other big brand names.